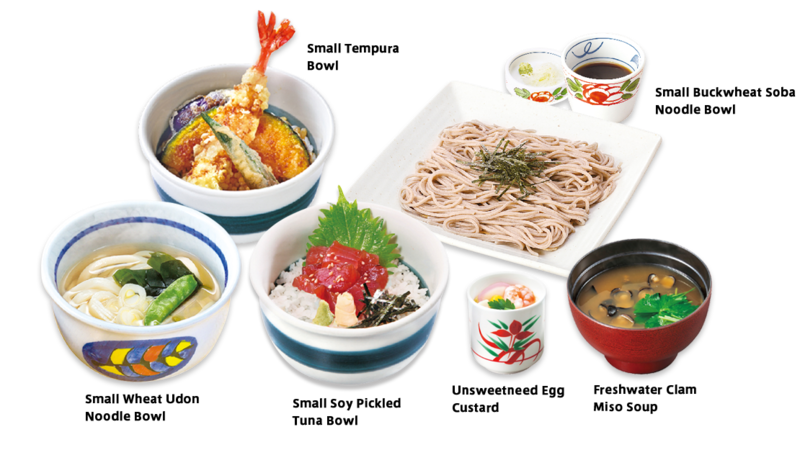 Hanaya Yohei is a Japanese-style family restaurant with nearly 130 outlets in and around the Tokyo area. 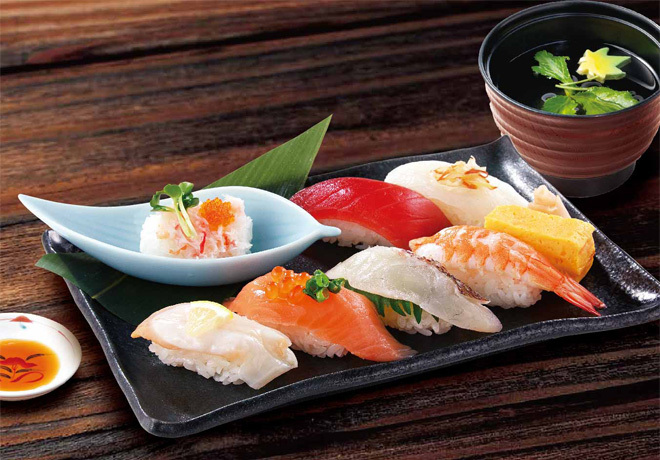 Assorted sushi which includes boiled crab, lean tuna, squid, rapa whelk, salmon, red seabream and boiled shrimp "Nigiri" with a piece of egg omelet. 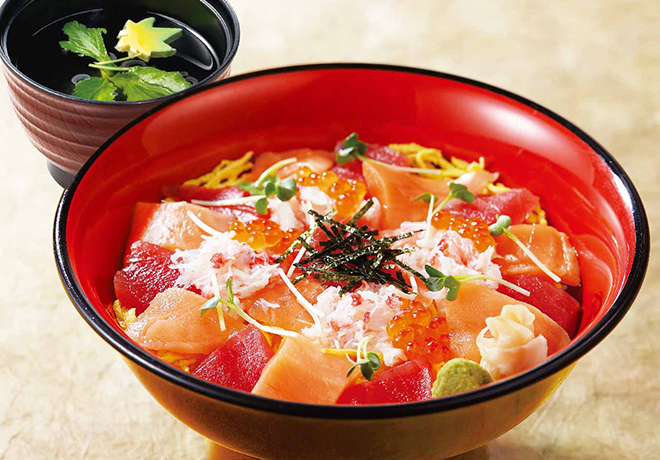 Vinegared rice bowl with variety of sashimi such as lean tuna, salmon, crab and salmon caviar on top. 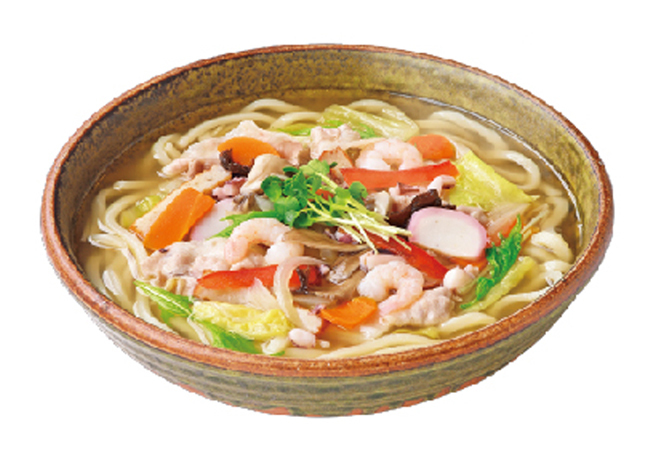 Champon noodle bowl is one of the Southern Japanese ramen cuisine. We made champon with udon noodles instead of ramen noodles. 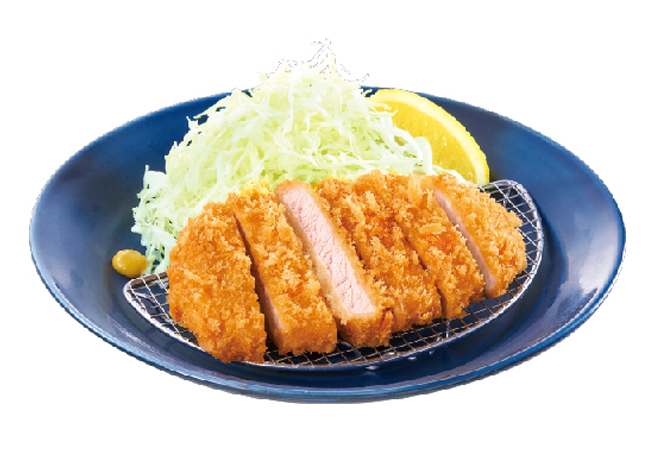 Our carefully selected Canadian pork is aged for 21 days so that you can enjoy its great texture and rich taste. 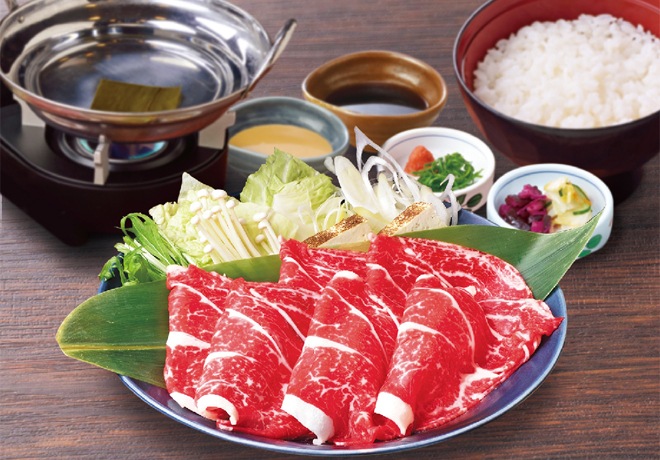 We use Hokkaido Tokachi beef chuck roll that has rich flavor and is suitable for Shabu Shabu. 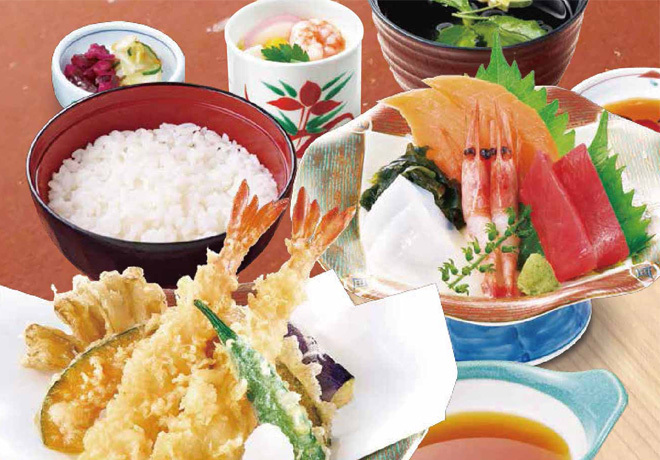 Please enjoy two of the famous Japanese traditional dishes, "Tempura" and "Sashimi" with various small sides in one meal. make your meal more enjoyable!